I write to you today not as a journalist, but as a truly concerned Arab citizen and an avid lover of Egypt, its people, history and culture. 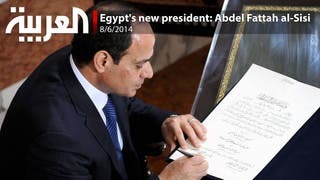 First, allow me to congratulate you, the Egyptian people and all fellow concerned Arab citizens on your inauguration and official assumption of duties as president of one our region’s biggest, most-strategic yet extremely delicate countries. I say this because it is no secret that the past few years have been far too harsh on what was once one of the greatest countries of the Arab world. Indeed, it was heartbreaking to see the dreams, aspirations and hopes of the Egyptian youth, which took to the streets in 2011 demanding a better future, being crushed by sheer anarchy, lack of organization, lack of vision and disarray. This atmosphere paved a clear way for greed, opportunists and a destructive religious ideology that threatened, as you put it, not only the long-standing harmony between Egyptian Muslims and Christians, but also sought to turn Muslims against each other. Mr. President, it is also no secret that you have been granted a very rare opportunity to be a momentous man as you assume your duties at a crucial turning-point in Egyptian history. Indeed, you sir have a chance to turn the tides and to put Egypt on the track it deserves to be on and not only safeguard the interests, future and dignity of your own people but also become an inspiration and a model for the entire region. For too long, we in the Arab world have been cursed by having to choose between either secular authoritarianism (mostly led by military rulers) or a religious authoritarianism, disguised as a democracy-loving party or entity. As such, you sir must excuse observers and analysts for wondering what sort of president you are going to be. 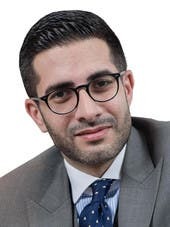 What we, as concerned Arab citizens, hope is for you to be the leader that breaks this curse and demonstrates that in the Arab world, a democratic, secular and accountable government can exist, work for the benefit and prosperity of its people and then make way for a new democratically-elected government once its term is over. Breaking this curse will be quite a remarkable achievement, not just for Egypt but for the entire Middle East at a time when we are seeing dictators who are ready to use chemical weapons or barrel-bomb their own people just to ensure they remain in power. Mr. President, we followed with great interest your inauguration speech at the Quba Palace and I can’t but wish you all the best in achieving all that you have vowed to do for your people on the economic, social and security levels. I also thank you for your honesty in declaring that you don’t hold all the solutions to all the problems but will try your very best to solve them. However, I do know who does have the power to solve all of these issues and restore Egypt to its once leading status: the Egyptian people! Mr. President, John F. Kennedy once told the American people “ask not what your country can do for you, ask what you can do for your country,” and I say this whilst wishing to clearly emphasize that there is an awful load of responsibilities and deliverables that are expected of your soon-to-be appointed government. However, there is nothing that can possibly accelerate the reform process and yield results much quicker than tapping into the power of your own people. I say this, Mr. President, because Egypt – despite the current turmoil it is in – was and always will be an incubator for brains and talent. I say this not only as a distant observer, but as someone who has had the pleasure of personally meeting some of Egypt’s brightest minds in science, business and politics at a number of the world’s biggest international forums and conferences. The distinctive advantage that these talented Egyptians have is that they combine heart and mind. In other words, Mr. President, they are ready to bleed for Egypt if they have to in order to see it become a better place. However, long years of favoritism, corruption and chaos under previous governments have left too many Egyptians too frustrated, too handicapped and too keen to emigrate in search of a better future. Once again, you have an opportunity to change all that and the beauty of it is that it is all possible. A very recent example of what can be done lies in the Indian state of Bihar, where one honest chief minister, Nitish Kumar, managed to increase the state’s growth rate from three percent to 16 percent in only six years. I say this knowing that sadly, many media outlets are used to spread hate, to incite crimes and disseminate lies. Despite this, you sir can’t allow a few bad apples to dictate how all journalists are treated or perceived during your reign. Equally as bad, are those “journalists” who bestow nothing but praise and serve not as a fourth estate but as a blanket to cover mistakes or misjudgments that members of your administration are likely to carry out. Mr. President, to err is human and what can be gained from a free, independent and professional media scene is a crucial tool in your own hands to hold your own officials accountable and guarantee they are performing at their best, all the time. I propose to you – Mr. President – an overhaul of your own state-owned media outlets, whereby they are governed by an independent board of trustees and a set of guidelines and laws that guarantees limited government or private sector interference so that they don’t report in fear or favor at anytime. Mr. President, Thomas Jefferson once said that an “informed citizenry is at the heart of a dynamic democracy” and due to malpractices of previous governments, the illiteracy rate in Egypt is now nearing 40 percent. As such, if we want to guarantee the success of Egypt’s experiment in democracy, then we must ensure that the public is well-informed and whilst reforming the educational system might take a significantly long time, empowering and liberating the media sector is literally low-hanging fruit that is just waiting to be reaped. You sir can lead by example by reaching out, encouraging investigative reporting and satire and honoring media professionals whose work helps create a better Egypt. 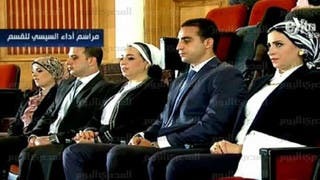 Can Egypt rise with Sisi in power?